We are surrounded with hundreds of colors. The latest PANTONE color guide lists over 1750 different shades, combinations and nuances of the primary colors. 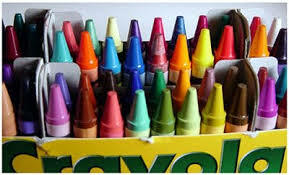 As a child I can remember getting so excited over all the colors in the Crayola crayon box! My favorite was the ‘large’ size with 84 different colors.. Did you have the same thrill over checking out all the colors? These days the boxes contain 120 colors. I envy the children that get to play with that many colors. Since I grew up in the ‘olden days’ I remember black and white Television. One of my favorite shows was Star Trek. Black and white did not allow me to see the various uniform colors. Gold and Blue Uniforms NEVER got killed! 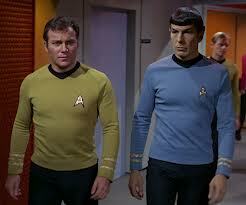 So one day when I went over to a friend’s house that had a color TV, I was astounded to realize that Kirk, Spock and the guy who always got killed when they went to the planet’s surface all had different colored uniforms. Hence the warning: If you wear a red shirt. DON’T GO DOWN to the PLANET!! Color has a psychological effect on us – influencing our mind and emotions. We all have color preferences, too. So color can help reveal our personalities. Cool! 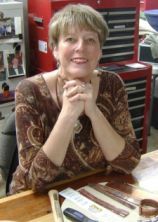 My mother studied color extensively and in her later years she taught classes on several related subjects. Recently I was ecstatic to find her notes on these classes! In future posts I will pass along more of the information she made available to her students. Such fascinating stuff! For now here is a quick overview of what each primary color represents. I have gone into depth in previous posts.. which you can find under the COLOR tab to the right. More details can also be found in the book: Color Magic for Beginners by Richard Webster. What is your favorite color? Do these criteria speak to your own personality? « Photographing Jewelry… Harder than it looks!